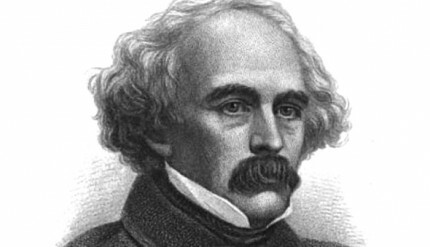 Having recently revisited James Hillman’s book, The Dream and the Underworld, I was excited to read Jeremy Kessler’s article in the New Atlantis on Nathaniel Hawthorne’s work, “The Hall of Fantasy,” in which he proposes that those who would dwell too long in the imaginative world of fantasy are susceptible to the pursuit of a single-minded vision of progress in the real world. “At the heart of the reformer is such wishful thinking: the world surely can’t remain so unjust, so immiserated, can it? This faith underlies the conviction that experimentation will save rather than spoil. We are here close to the heart of the human condition which each of us finds ourselves in, even if evidenced only by the consequences of the choices we make as we live our earthly lives. Christianity, and especially monotheism, solves the puzzle of existence by placing the whole of creation in the lap of the one God who is both Creator and Destroyer of this world. Our task is then to live such that Thy Will Be Done. The teleology here insists that the physical world must end and will be destroyed to make the world anew; finally and permanently perfected, happily ever-after. It’s a very compelling idea, but speaks primarily to the material world, even if it uses an immaterial God to do so. But in our age of science and materialism, immersed in the long, tiresome account of man’s imperfections that human history leaves us with, it’s getting harder and harder for us moderns to feel the presence of a loving God, or any god(s), for that matter. Perhaps too, God is no longer necessary when we live in a world in which we are surrounded both physically by the marvels of our man-made structures and psychically through the prominence of shared secular cultural experiences that come from television, politics, shopping and more recently the internet, all of which add to the sense that we are the creators. Technology drives culture, and our culture has been driven for quite some time towards secularism because necessity for anything metaphysical dwindles a bit more with each generation as long as material abundance increases. Yes, there is plenty of push back against materialism and scientism, not only from Judeo/Christian and Muslim believers, but non-religious worldviews as well, as can be seen by the rise of neo-pagan and paranormal beliefs. But, it’s so incredibly hard to sustain any sort of metaphysical belief in a world where our primary fantasy has become something we now call reality. By the term reality, we specifically mean something non-psychic, concrete and objective that can be measured in the material world. So, when measured against our cultural prejudice of what we call reality, all things immaterial are at risk of losing their authenticity. To our detriment, a loss of trust in anything that is not “real” includes losing a very large chunk of our human experience, for what else are such things as love, sadness, truth, fear, desire, and hope made of but something of a psychic nature? Psychic here meaning the non-material aspects of our human experience and not the paranormal phenomena as has become the common usage. “The underworld is a realm of only psyche, purely psychical world. What one meets there is soul, as the figures Ulysses meets – Ajax, Anticleia, Agamemnon – are all psyches, and the way they move is compared with dreams; or to say this in another way, underworld is the mythological style of describing a psychological cosmos.